Delphi Source formatting Wizard is a easy customizable feathured source code formatter. It can improve your source code (the indentation, spacing, capitalization, etc are supported). At default, the style of the Borland source code is followed closely, since this is the most widely accepted style. But formatting of Pascal code is much a matter of taste. 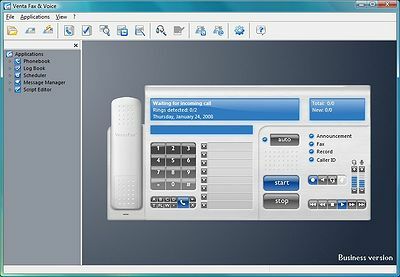 The convenient interface, similar to standard Wizards in a Windows, possibility of saving of the several configurations, many customized parameters of formatting and to that similar trifles, will allow you to result in one sort source texts of your programs easily and simply. Delphi Source formatting Wizard is available as Delphi expert. It can process current file, all opened files, whole project or whole project group. After installation, You can find our wizard in Delphi menu at Tools/Format Source Code. EMS Source Rescuer - EMS Source Rescuer is an easy-to-use wizard application which can help you to restore your lost source code. If you lose your Delphi or C++Builder project sources, but have an executable file, then this tool can rescue part of lost sources. Collection of Delphi Examples - Collection of most wanted Delphi examples with full source code and animated tutorials as a standalone application. No third party components. Pure Delphi.Examples include: Database application example, Reports, mysql,sound, and many many more. Crash Course Delphi - Delphi 32 bit hands-on tutorial, beginners and intermediate. Trial version: the first 3 lessons + source code + project. The full version includes membership of the DelphiLand Club for life, giving access to all lessons, projects and source code. DFMToSource - DFMToSource is a source code generator for Delphi and C++Builder. It helps you to dynamically create VCL components or forms at runtime. The bitmaps or icons included in the components are converted to source code. No more DFM file required.